With so many different rules and regulations within the English language, it is common to see mistakes. Some words create a lot of confusion for people studying English as a second language, and can cause just as many problems for native speakers. Here we will look at some of the most commonly confused words. That way, you can make sure you don’t make the same mistakes! These two words are mistaken as they are only different by one letter. However, they have completely different meanings. The words lay and lie are often misused in the English language. The word lay in particular is confused in many ways. Below are the definitions of each word and examples of when to use the words. Lay – Meaning to place something or set down. Lie – Lie means to recline; to not tell the truth. So, you wouldn’t “lie your bag down on the table”, but you would “lay your bag down on the table”. You wouldn’t “like to lay in the pool when it’s hot”, but you would “like to lie in the pool when it’s hot”. Let’s look at the past tense and the past participles of the words lay and lie. These two words may be the most commonly misused words in all of the English language! It seems that a lot of people struggle when confronted with using the words effect and affect. Their meaning is quite similar as is the spelling, which is the reason why they are so easily confused. Let’s look at the difference in the two words, so that you can be sure you are using the correct one. Affect – To affect someone or something you are influencing them in some way. Affect can also mean ‘to pretend’ (verbs) and can mean ‘feeling’ (noun). Effect – The word effect shows a result; something in operation (nouns) and to make something happen (verb). More often than not, the word effect is used as a noun, and the word affect is used as a verb. The rules were put into effect yesterday. The rules affected the way she behaved at school. 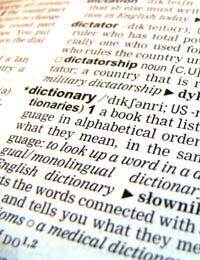 There are many confused words in the English language, and these are just a few. Learning grammar terminology can help you decide which word to use when in sticky situations. If you are still unsure, a dictionary is always a great help when you need to figure out which word to use.